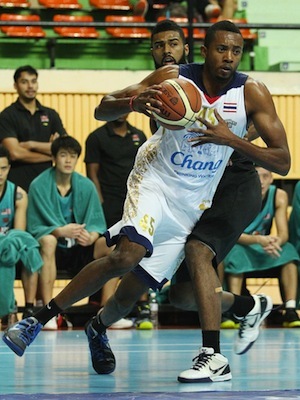 The Chang Thailand Slammers fell into an early 0-3 hole in the 2013 ASEAN Basketball League after losing back-to-back games this past week. The Indonesia Warriors, too, remained winless after the defending champs succumbed to a hot-shooting Saigon Heat this past weekend. The Wesports Malaysia Dragons, meanwhile, copped solo first place after winning their second game, while the Saigon Heat rebounded from their Week 1 loss by piling up two straight Ws. Cedric Bozeman came through for the Dragons once again, scoring 22 points on top of 6 assists, 5 rebounds, and 4 steals against the Slammers. 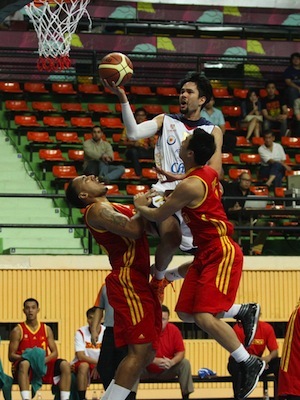 He was backstopped by the hot shooting of ASEAN import Patrick Cabahug, who nailed 4 treys on his way to 20 markers. Week 2 of the 2013 ABL season. The Heat, too, relied heavily on their plethora of imports as Dior Lowhorn, David Palmer, Philip Morrison, and Jai Reyes all took turns in helping Saigon hike its record to 2-1. Lowhorn was a beast, averaging 23.5ppg and 11.0rpg in two games, while Palmer, Morrison, and Reyes all registered double-figure scoring in their two wins. It was a nerve-wracking game at the Nimibutr Stadium, Thailand, between hosts Chang Thailand Slammers and their visitors, the Saigon Heat. The game went down to the last shot as the Heat escaped with a 77-75 win. The Slammers’ Wacharapong Tongsri missed a potential game-winning shot and Justin Howard, who rebounded Tongsri's miss, was not able to send the game to overtime. The Heat’s Dior Lowhorn finished the game as the leading scorer with 21 points and 10 rebounds, followed by teammate David Palmer, who also had a double-double with 20 points and 12 rebounds. The Heat built a 38-32 lead in the third quarter after Lowhorn and Palmer each made a basket with 7:10 left in the third quarter. The Slammers’ Michael Earl and Justin Howard then sparked a 12-2 run capped by a dunk from Earl that made it 44-40 for the Slammers with 4:56 left in the third quarter. The fourth quarter started with an 11-2 run from the Heat that helped them stretch their lead to 65-54 after Lowhorn connected on a three and Palmer nailed a shot with 7:37 left in the game. The Slammers responded immediately and pulled within, 62-67, on three point shots from Tongsri and Wutipong Dasom with 5:42 left. The momentum suddenly shifted the home team's way after Earl made a basket to put the Slammers up, 72-71, with 2 minutes left. But that momentum was quickly shut down by Palmer, who came up huge down the stretch. The 6'9'' center connected on back-to-back three-point shots, giving the Heat a 77-72 lead with 1 minute left that helped the Heat grab their first win of the season. The Heat's backcourt tandem of Phillip Morrison and Jai Reyes were crucial in this win as well. Morrison found his shooting groove tonight after a tough debut last Saturday. The Fil-Am shooting guard finished with 19 points, including 5 three-pointers. Reyes, who was a fan favorite last year in Bangkok, had an impressive game and finished with 13 points and dished out 12 assists, including the two assists which set Palmer up for the critical back-to-back three point shots down the stretch. The Slammers received big contributions from their two local players, but it was still not enough. Both Tongsri and Dasom had a career game with 16 points each. Earl led the Slammers with 19 points while Froilan Baguion finished the game with a new ABL record of 17 assists. 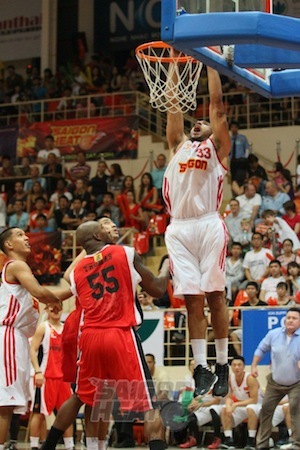 the Saigon D in mid-air. David Palmer wrestles the rebound against the Slammers. Wacharapong Tongsri hit a corner three and a free throw to get the Chang Thailand Slammers within 5 points with 48 seconds left, but it was a little too late as the Westports Malaysia Dragons repelled a late charge by the Slammers. Cedric Bozeman had 22 points and 6 assists, Patrick Cabahug added 20 points, and the Dragons held off the Slammers, 91-83, for their second win of the season. Chris Charles, who was activated in place of the injured Justin Howard, made an early impact for the Slammers in the first quarter. His energy and activity help the Slammers jump out to an 8-point lead early. Charles scored a quick 6 points and a lay-up from Froilan Baguion helped the Slammers build a 18-10 lead with 2:54 left in the first quarter. The Dragons caught fire late in the second quarter and also picked up their defensive intensity. A corner three from Cabahug and Satyaseelan Kuppusamy plus a lay-up from Gavin Edwards off a behind-the-back-pass from Mark Jeffries sparked a 16-2 run for the Dragons. They held the Slammers to only 2 points in the last 3 minutes of the second quarter to stretch the lead to 54-37 at halftime. Edwards was huge on defense for the Dragons during that stretch; he finished with 13 points and 6 blocks. The Dragons' lead was at 59-37 on a three-point shot by John Ng, but halfway through the third quarter, the Slammers were able to make stops. A jumper from Wutipong Dasom and a three-point shot from Tongsri helped the Slammers trim their deficit to 60-68 heading into the final quarter. The Slammers were able to get as close as 4 points on a lay-up by Pairach Sekteera off a nice assist from Baguion, who finished with 12 assists. But the Dragons quickly answered with a three from Cabahug and a monster slam from Edwards to bring the lead back to 11 points with 4:29 left. The Slammers were able to get one final run in the last 1:30, but the Dragons were able to hold on to their lead. Charles led the Slammers with 20 points and 13 rebounds, followed by Tongsri with 14 points and Michael Earl with 12 points. 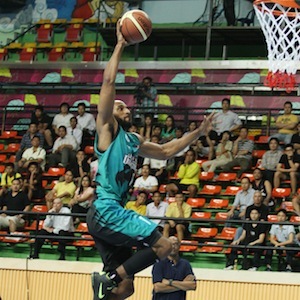 The Slammers will host the JobStreet.com Singapore Slingers on January 25th, 2013, while the Dragons will play the Indonesia Warriors at Mahaka Square on January 22nd, 2013.
to its maiden win of the season. 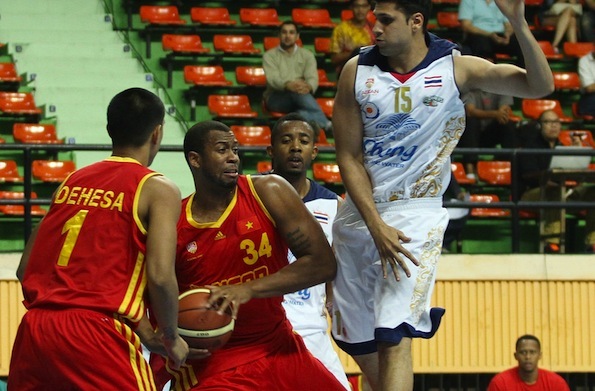 It was another dramatic finish to a Saigon Heat and Indonesia Warriors game at Tan Binh Stadium. A costly mistake by the Warriors at the end helped the Heat come out with a 77-72 win. The Heat’s Dior Lowhorn, who scored 19 of his 26 points in the second quarter, also managed to grab 12 rebounds in the game. Teammate Phillip Morrison was next on the Heat scoresheet with 15 points followed by Jai Reyes, who finished with 14 points and 9 assists. The Heat were able to hold the Warriors to just two points in the last 3 minutes of the second quarter. Reyes hit a pair of free throws and a three-pointer late in the second quarter to give the Heat a 37-29 lead at halftime. Lowhorn came out of the locker room firing as he scored 8 quick points that stretched the Heat lead to 44-29 early in the third quarter. The Warriors' Mario Wuysang was not to be denied in the third quarter, however. The ABL veteran point guard scored 16 points in the third period to keep his team in the game as the Warriors came within 9 points going into the final frame. A pair of baskets from Richard Smith and a lay-up from Christian Ronaldo Sitepu trimmed the Heat's lead further to 66-62 with 7:42 left. The Warriors then made another late surge to get to 72-73 on a lay-up from Steven Thomas off an assist from Jerick Canada. The Warriors had a couple of chances to take the lead, but Wuysang missed a three and Canada turned the ball over. With 14.6 seconds left, Karl Dehesa calmly hit two free throws for a 75-72 lead. Then the Warriors had to inbound the ball from halfcourt after Reyes fouled Canada with 12 seconds left. Unfortunately, Smith inbounded the ball to Canada, who was standing on the backcourt. The referee called a backcourt violation on the Warriors. Morrison then iced the game with a lay-up before the buzzer to give Heat their second win of the season. Wuysang led the Warriors with 23 points, Smith had 15 points on his first return to Saigon, and Chris Daniels finished with 11 points and 11 rebounds for the Warriors, who will play again on Tuesday night against the Westports Malaysia Dragons at Mahaka Square in Jakarta, Indonesia. for the Heat so far. 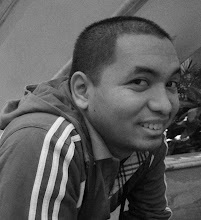 Source: Game recaps were compressed and compiled from AseanBasketballLeague.com. Images: All images are from AseanBasketballLeague.com.